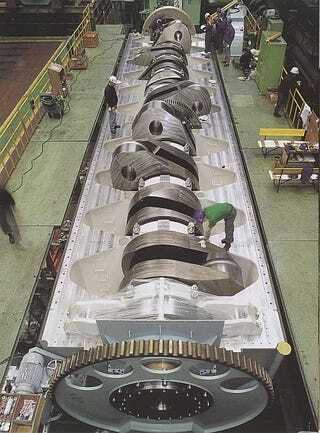 Y'all Ever See a Crankshaft So Big It Could Smush You When It Turned? Note the ladders leading down into the crankcase. What&apos;s Up With the Porsche GT2?